Whether you're screaming through an XC course or meeting up for a day on the road with your friends, the Fox Racing Le Savant Bib Shorts will get you to the end of the route in style. With a pop of classic, moto-inspired Fox Racing style and painstaking attention to details, these shorts deliver top-end comfort in an effortlessly cool package. Made with a mix of Italian fabrics fashioned from moisture-wicking yarns, these shorts provide just the right amount of stretch while moving moisture out and away to keep you dry and comfy on even the warmest of summer days. Silicone grippers at the leg bands hold everything in place without pinching, and reflective detailing on the legs helps keep you visible to motorists, woodland creatures, and fellow riders in low-light conditions. The addition of two pockets on the back of the bibs are unique features not found in many traditional bib shorts, and they provide precious extra space to bring spare tubes, your phone, or a bag of delicious gummy bears along for the ride. 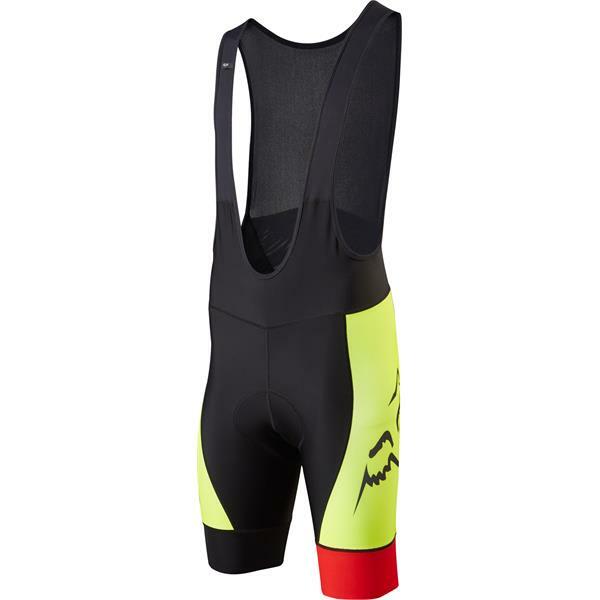 The Fox Racing Le Savant Bib Shorts include the Fox Comp Chamois with triple density cushioning and strategically varied thickness to keep you riding without any unnecessary discomfort or bulk. Its Carbonium AntiMicrobial fabric features four-way stretch that moves with you to reduce chafing and fights off bacteria to stay fresh and clean ride after ride. Clip in and get out for a ride with confidence that these shorts will keep you comfy no matter what terrain the ride brings your way.